I love craftsmanship. I love everything about the details of beautiful work that is not manufactured by some mindless, soulless company. I admire craftspeople because of their dedication to their craft, and their inability to produce something that is beneath their standards for excellence. In this country, we see far too little of it, and we are always so anxious to purchase something cheap and fast. And when it breaks, or simply stops working, we are fine with throwing it away, tossing it into a landfill and forgetting we ever spent our hard-earned money on it. The older I get, the more I appreciate slow. Slow food, slow information, slow, thoughtful work. And by slow, of course, I mean, the things that take a little time to create. I mean the things that take our hands, hearts, minds and skills. 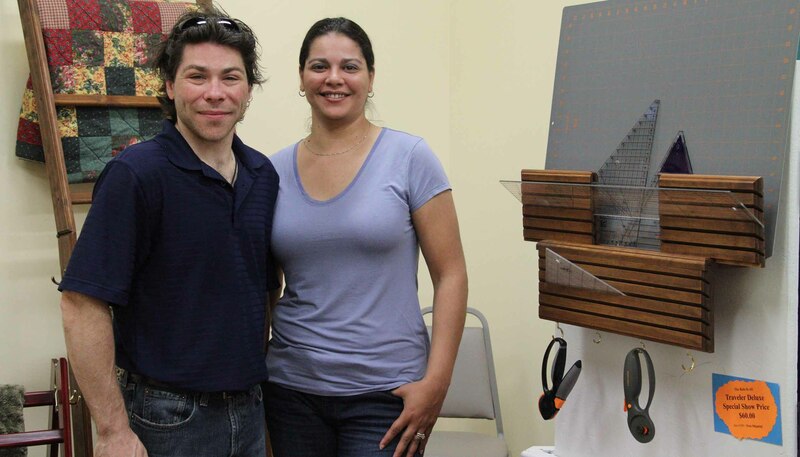 The following are three local artisans we recently showcased at Sew Generously. Please take a look at their work and consider purchasing something they have made with their minds, hands and hearts. I’ve met each of them in person (well, I met Bill’s wife) and they are all lovely people with a dedication to quality. They make innovative organizers for quilters, including quilt racks and ruler holders, and their design is so simple and clean, I ask myself, why didn’t I think of that? And of course, that’s what makes them special. Robert and Paula Briick. I bought one of their quilt ruler holders for the wall. 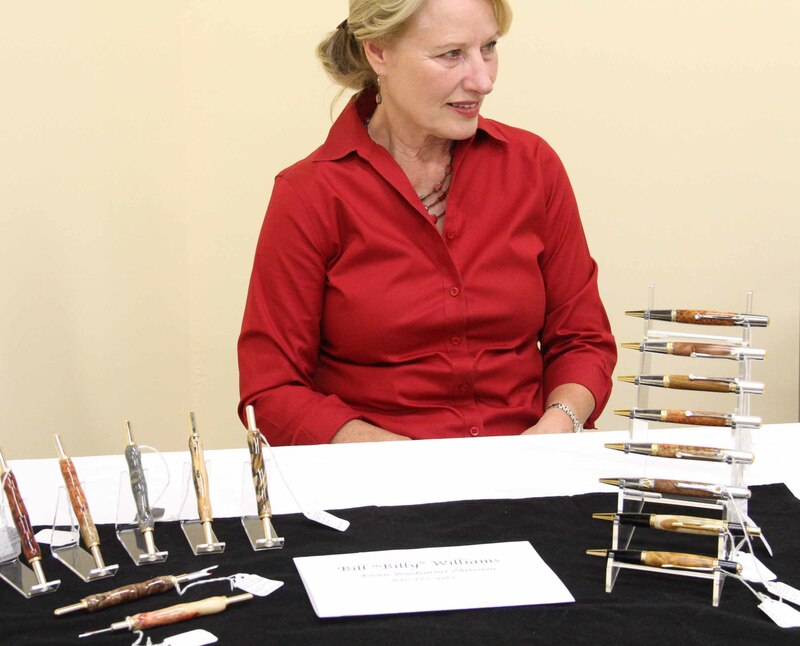 Bill Williams works in exotic woods, and hand turns handles for seam rippers, pens and other tools. His work is shown here by his wife, Susan. Susan Williams, wife of Bill Williams, Wood Craftsman. 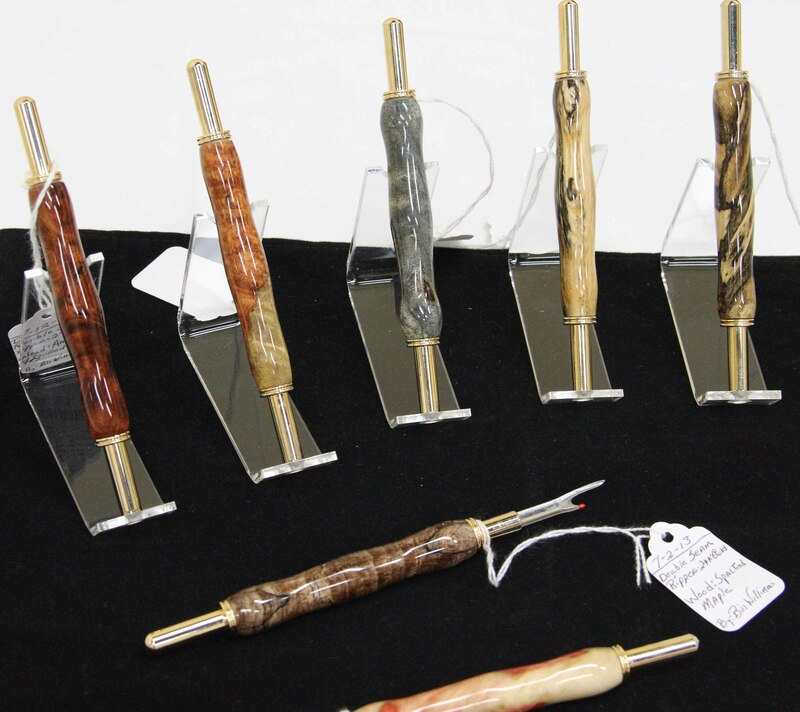 A close-up of these hand-turned seam rippers. The exotic woods are gorgeous. I bought the one on the left. It was made of the same type of wood that was put into the dashboards of the original Rolls Royce. These can be made to order. For more info call Bill or Susan Williams 630-377-9351. 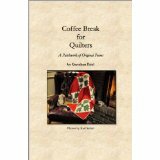 Gretchen Friel is an author who wrote the book, “Coffee Break for Quilters: A Patchwork of Original Poems.” She is just a lovely person. 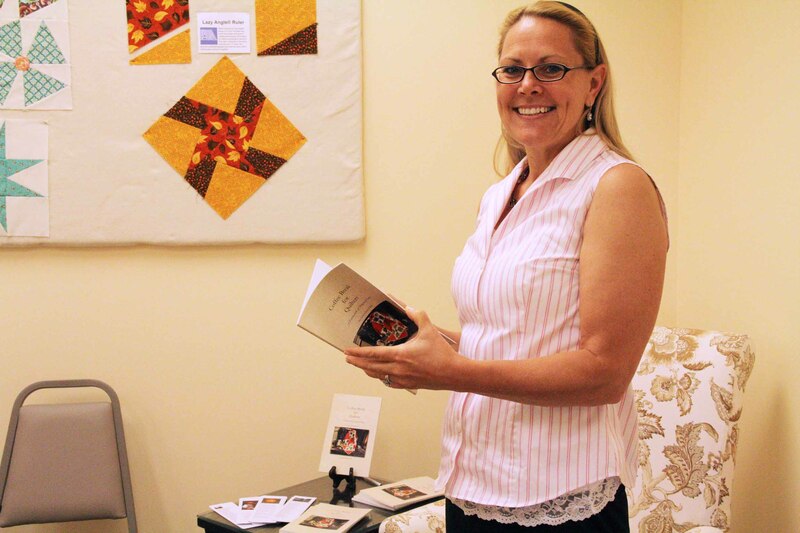 A mom and breast cancer survivor, her poems are inspirational, spiritual, insightful and will resonate in the heart of anyone who sews or works with fabric. Contact Gretchen at treedeckpublishing.com, or you can purchase the book at Sew Generously in St. Charles or on amazon.com. This entry was posted in Creativity, quilting, sewing and tagged local artisans by edges. Bookmark the permalink.